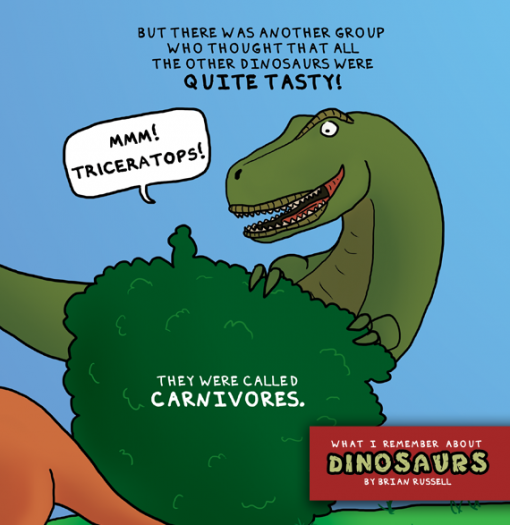 What do you remember about dinosaurs? I am not sure if the strong interest in dinosaurs is a matter of generation, but I clearly remember – when we were kids – that it was cool to be able to rattle off the names of dinosaurs like a Gatling gun in action. Not to mention the ability to follow up with all their characteristics and spot them from a mile away. If dinosaurs ever visited the school, that is. Whether you were one of those kids or not, I still think teaching kids about these leviathans is a worthwhile venture. Non-existent they may be today, they are still very much part of our history. 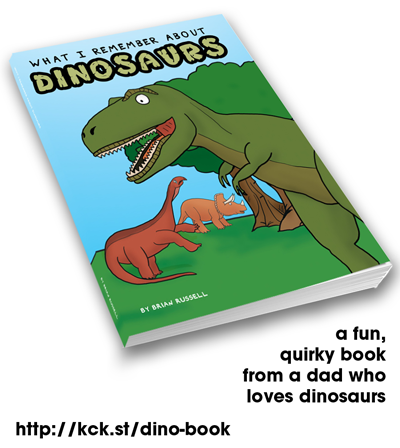 Enter “What I Remember About Dinosaurs”, a book project on Kickstarter by Brian Russell. Brian is a professional artist who has kids of his own, and thus is one of the best people to come up with this sort of project. He has kindly given us a preview copy of the book, together with some sample images, and boy, do they look good! Take a look at some of his work to be included in the book. You have to admit that any kid will find dinosaurs interesting after flipping through pages filled with illustrations like these. So what can you do to help out? If you’re not familiar with Kickstarter, all you need to know is that anyone can donate financially so that the project will reach its target within a set period. 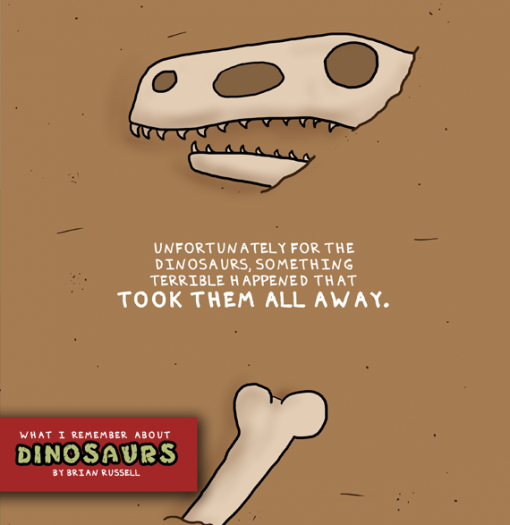 In the case of “What I Remember About Dinosaurs”, we have FOUR days to go, with a little less than $500 needed to reach the goal. This is not begging for money, because you will get perks depending on the amount you donate. And you know, even if you don’t give money, there is still another way to help: spread the word! 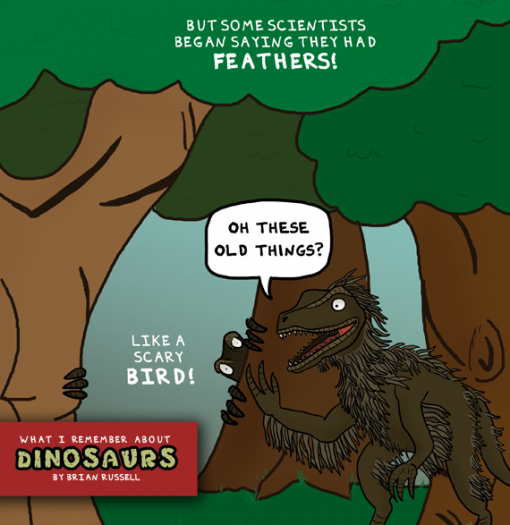 Why don’t you check the project out: What I Remember About Dinosaurs and see what you can do?